Showing results by author "Richard M. Nixon"
Richard Milhous Nixon (January 9, 1913 - April 22, 1994) was the 37th President of the United States, serving from 1969 to 1974. The only president to resign the office, Nixon had previously served as a US representative and senator from California and as the 36th Vice President of the United States from 1953 to 1961. 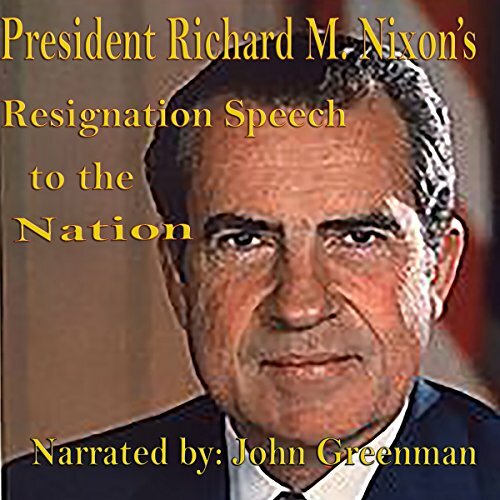 Nixon made his resignation speech to the nation on August 8th, 1974. The following day, before climbing into a helicopter, he addressed the White House staff one last time.